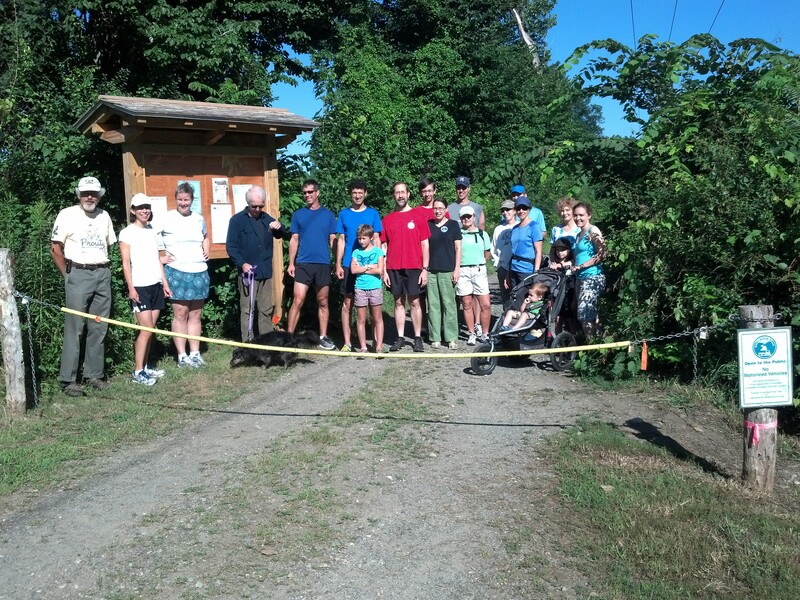 We had 18 participants, and raised $401 at the West River Trail Fundraising Run/Walk on a beautiful Saturday morning, July 27. Thank you to Tim Fleming who conceived of the idea, did much of the organizing and publicity, and ran all the way to the Townshend Dam! Thank you to his daughter, Elsie, for running with him to the Rice Farm Rd trailhead, and to his wife Rebecca for providing water and snacks at that end of the trail for the runners and walkers. Thanks also to everyone who supported the trail by participating and making a donation, and to those who didn’t walk or run but made a donation anyway. And thanks to Malcolm Moore for being there to help with parking, take photos and ride sweep to check on participants; and to Jim Webster for helping Kathleen White with registering participants and having water and watermelon available back at the Marina Trailhead, for those who went out and back. A fun time and a successful event! This entry was posted in running, west river trail and tagged benefit, donations, nature, outdoors, running, trail running, west river trail, west river trail run. Bookmark the permalink.